10% Off Selected Car Seat Orders at Boots Get 10% off when you're shopping for a new car seat from Boots! 10% Student Discount at Boots For all students out there, don't miss out on great discounts from Boots when you use your Student Beans ID! Free Gift on 2 or More Clinique Orders at Boots Get a luxurious gift for free when you order 2 or more Clinique products at Boots! Up to 50% Off Selected Male Grooming Electrical Orders at Boots Don't miss out on the huge savings to be made when shopping men's electrical grooming products at Boots! Free Delivery on Orders Over £45 at Boots If you're spending big at Boots, get your order delivered for free! 3 for 2 on Selected Vitamins, Medicines and Supplements at Boots Stock up on vitamins, medicines and supplements and get 3 for 2 on selected lines! Up to 50% Off Fragrance Orders at Boots Don't miss out on getting up to 50% off when shopping for fragrance at Boots! Free Gift on Selected Fragrance Orders at Boots When you're shopping for your (or their!) favourite fragrance at Boots, get a free gift on selected orders! £7.50 of Advantage Card Points on Benefit Cosmetics Orders Over £40 at Boots If you're spending big on Benefit Cosmetics, reap the Boots advantage card benefits and get £7.50 worth of points! 20% Off Selected Mini Club Baby and Kids' Clothing at Boots Shop the cute collection of clothes available in the Mini Club at Boots with 20% off! Buy 1 Get 1 Half Price on Selected Maybelline Orders at Boots Buy 1 Maybelline product at Boots and get a second half price! 3 for 2 on Selected No7 Orders at Boots If it's time to stock up on your favourite beauty buys from Boots, get 3 for 2 when ordering No7 products! 20% Off Selected L'Oreal Cosmetics Orders at Boots Get the best bargains at Boots - including 20% off when ordering L'Oreal Cosmetics! With customers at the heart of all its products and services, when you’re looking for a little boost to your health and beauty regime, make Boots Pharmacy your number one destination. While you can rely on a comprehensive health and pharmacy department to stock every remedy you could need - from lifestyle supplements to niche treatments for specific ailments - help is always at hand online too, with Boots.com - and a Boots offer code or two. Beauty fanatics can shop an ever-expanding beauty department to find the latest trends in makeup and skincare. No7 is well known and loved by people of all ages for its heavenly yet fuss-free products - for a rejuvenating serum or for that mascara with a difference - you’ll find delightful additions from No7 for your beauty bag. While more hero brands like benefit, L’Oreal and Clinique are all available to offer something for men and women alike, and for people of all skin types. Boots Pharmacy strives to keep you with the times, and its catalogue will always feature the latest goods on the market in toiletries, hair care and electricals too. You’ll find precision in everything, from electric toothbrushes to hairdryers, and once you've preened yourself to perfection, you’ve nothing left to do other than find your favourite fragrance. You can take on the world with Boots Pharmacy. With so many exciting goods to choose from, gifting is made easy too, making Boots an ideal place to head for the next big occasion. Find a treat this year and whether you go for a brand new shaver, full on grooming kit or luxurious body cream, you’ll find heaps of inspiration at Boots.com. Not only skin deep either, at Boots.com you can enjoy a flurry of useful services like photo printing, health checkups and even the Parenting Club. With a Hearing-care section and skin care consultations available to book - it's easy to become a champion of your health with the support of Boots Pharmacy. How do I use my Boots discount code? Your discounts will be added so you can checkout securely. Can I buy gift cards at Boots.com? Give another the gift of choice from Boots.com with gift cards starting from £10. Can I change my pharmacy appointment time on Boots.com? Simply log in to your account and select ‘My Appointments’ where you will be given the option to amend or cancel your appointment. Does Boots.com have a store locator? You can find your nearest Boots Pharmacy by using your location or entering your town or postcode. Unwanted goods can be returned within 35 days for a full refund or exchange. Simply follow the instructions on the paperwork in your delivery, or take your goods to a Boots Pharmacy near you. Call 0345 609 0055 for Boots.com enquiries. More contact numbers are available online and you can email Boots.com from the Contact Us page too. As the UK’s leading pharmacy-led health and beauty retailer, Boots Pharmacy has become a pinnacle store of UK high streets. 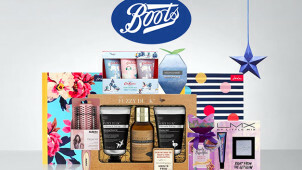 With a hugely popular online store too, at Boots.com you’ll find everything from beauty products and skincare to health and pharmacy, fragrance, toiletries plus holiday products for your summer trip. Browse with a Boots discount code from vouchercloud and you’ll be able to tackle all of your health and beauty needs in one go. Whether you're freshening up or looking to gift someone special, Boots Pharmacy’s purpose is to help you look and feel better than ever, without breaking the bank. The Boots Pharmacy Advantage Card lets you collect 4 points for each and every £1 you spend, including purchases on gifts, fragrances and pharmaceutical goods. You even get points for your meal deal! With an advantage card, you’ll get personalised offers to enjoy, while parents and the over 60s will be able to make the most of additional benefits and discounts. Sign yourself up at Boots.com and you’ll soon get a taste of what it is to be a VIP. Experts in eyecare, Boots Opticians are on hand to provide first-class advice for your eyecare needs. From booking an eye test to finding the perfect glasses or contact lens solution to suit your needs, a Boots voucher code will let you save on everything to keep your eye health in check this summer. Shop stylish frames from top designer brands and with sunglasses, accessories and more available to suit the whole family - you'll always find your favourites for less at Boots Opticians.